Most people, unless they are devoted runners, don’t particularly enjoy running to get into shape. Cycling, meanwhile, is a fun alternative to running that can help you lose those extra pounds and stay fit with relative ease. Aerobic exercise helps to shed extra pounds, and eating healthy will keep you on the right track. Cycling can be a benefit to all ages because it doesn’t place too much stress on your hips and knees like running can. It can also be helpful for people who have arthritis issues. Although many people trying to lose weight settle for running, you may find it easier to maintain a healthy cycling routine. 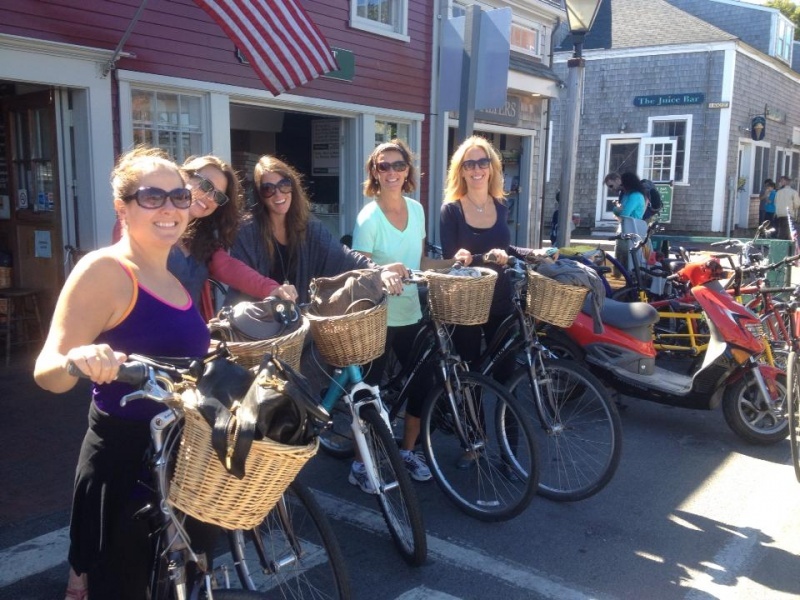 With weight loss goals in mind, biking can be an everyday activity. The struggle to get up and go for a run is too much effort for many people. Cycling, on the other hand, can kill two birds with one stone. If you need to go to the grocery store to gather some healthy foods, just ride your bike there! The hardest part about getting in shape and losing weight is getting into a rhythm. You may start off strong, but it can be difficult to keep up with the routine. With this in mind, try to make cycling an everyday activity. Whether you’re riding to work or going to the store, a bike can be both a means of transportation and exercise. If the weather isn’t so cooperative, you can use a stationary bike at home or at the gym. Weight loss isn’t all about exercising. Limiting your intake of sugar and carbohydrates will help cut down the extra weight, too. Be mindful of your portion sizes, and always stay hydrated when you’re out on your bike. Proper hydration can not only help your ride, but also curb your appetite for snacks along the way. At Nantucket Bike Sales, we can help you find the cycling equipment you need to keep up with your weight-loss goals, and connect you with other cyclists in our area! Stop in or give us a call at our toll-free number today to get started!